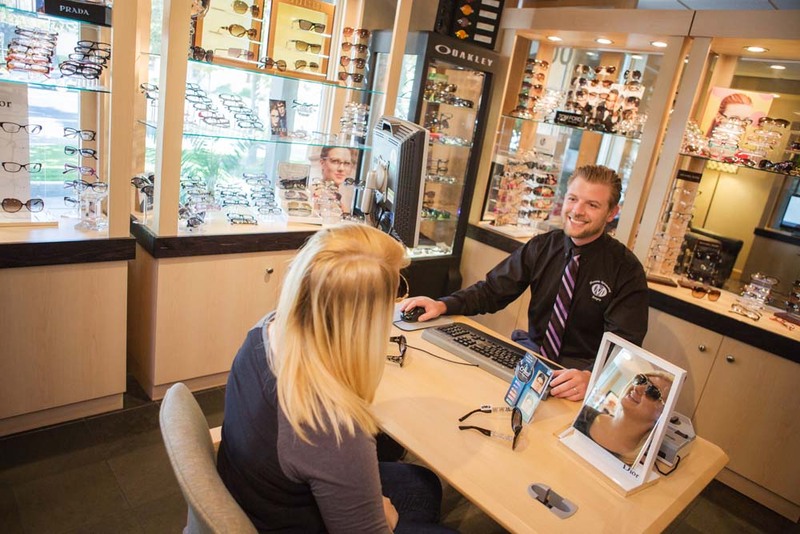 Murrieta Optometry has a selection of over 1,000 frames on display. We can fit any face, any style, and any budget. Our opticians are experts at finding the perfect frame and they really enjoy doing it. You can choose from fashionable brands such as Prada, Gucci, Christian Dior, Juicy Couture, Swarowski, Tom Ford, Versace, Kate Spade, Michael Kors, Rag and Bone, Tiffany & Co., Guess, Tory Burch, Original Penguin, Converse, Bebe, and non-conventional brands like Koali, Lightec, Oga, Prodesign, and well established brands like Luxottica and Marchon. We also offer prescription and non-prescription sunglasses, safety glasses for work, and sports goggles for children and adults. Sunglass brands include Maui Jim, Oakley, Costa, and Ray-Ban. We can custom tint lenses for skiing, fishing, shooting, computer use, and more. All of our lenses and frames are guaranteed for a year. Our prescriptions are guaranteed to optimize your vision or we will make you new lenses for free! 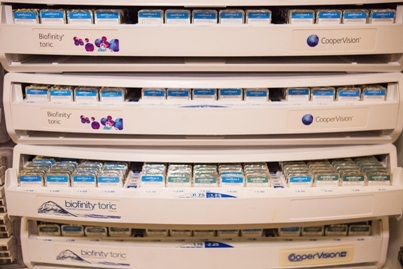 Our doctors can fit you in any type of contact lens made, whether soft or rigid. Contact lenses are a safe, painless way to correct your vision without using glasses. They can also be used to change your eye color. Contact lenses have come a long way in the last 10 years. There are now bifocal soft contacts, contacts you can wear for 30 days without taking them off, and 1-day disposable contacts. There are also contacts for dry eyes and for people with astigmatism. Many people with extremely poor vision or conditions such as keratoconus or corneal damage qualify for medically necessary contact lenses. We are very experienced in fitting contact lenses in these circumstances and in working with your insurance to get complete coverage for your specialty lenses.